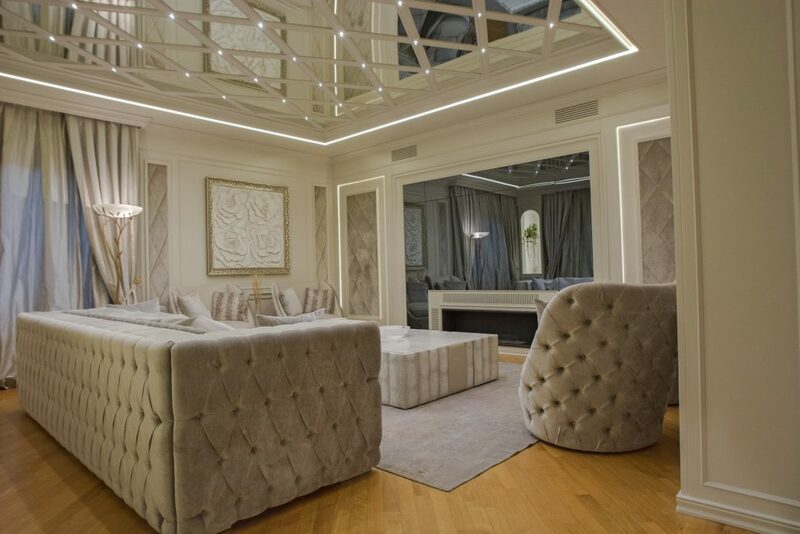 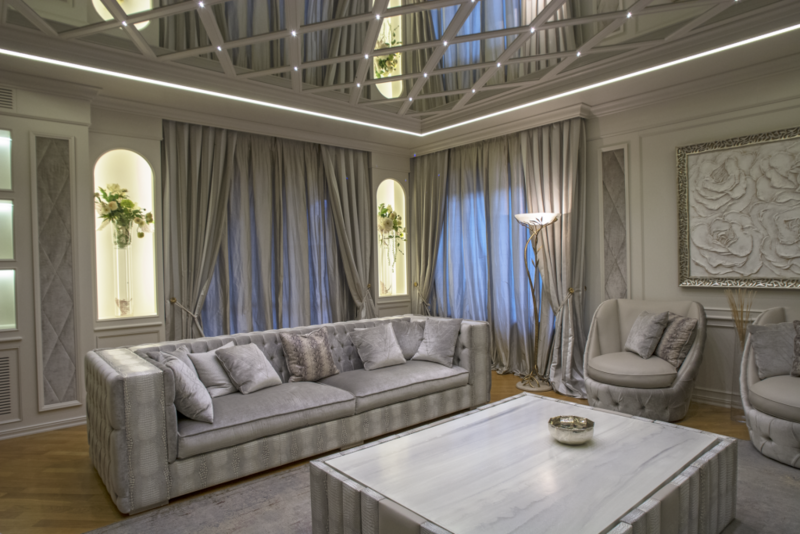 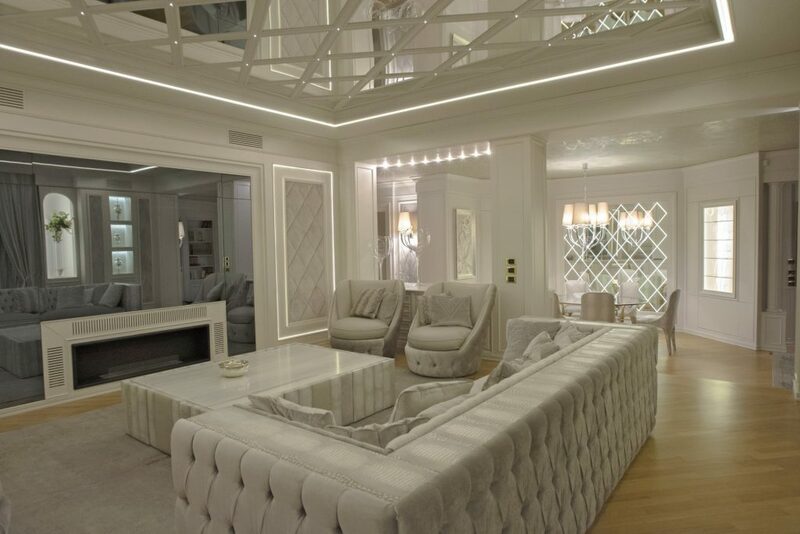 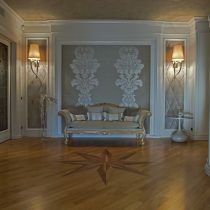 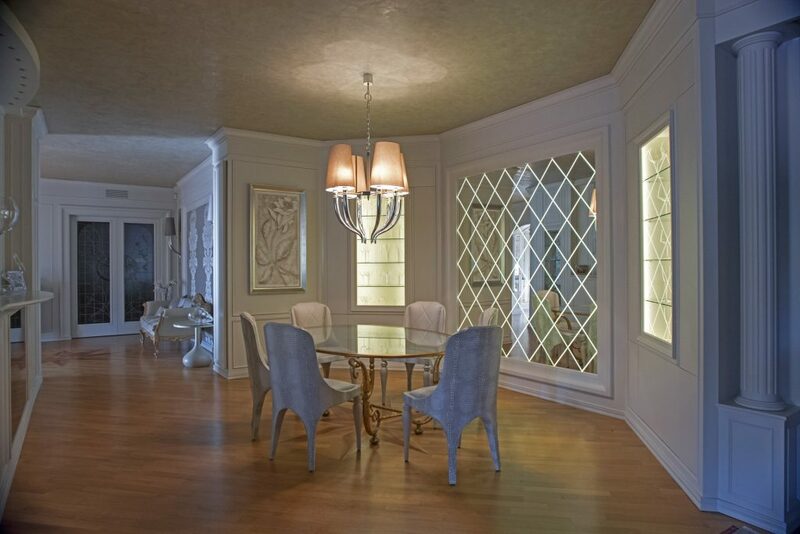 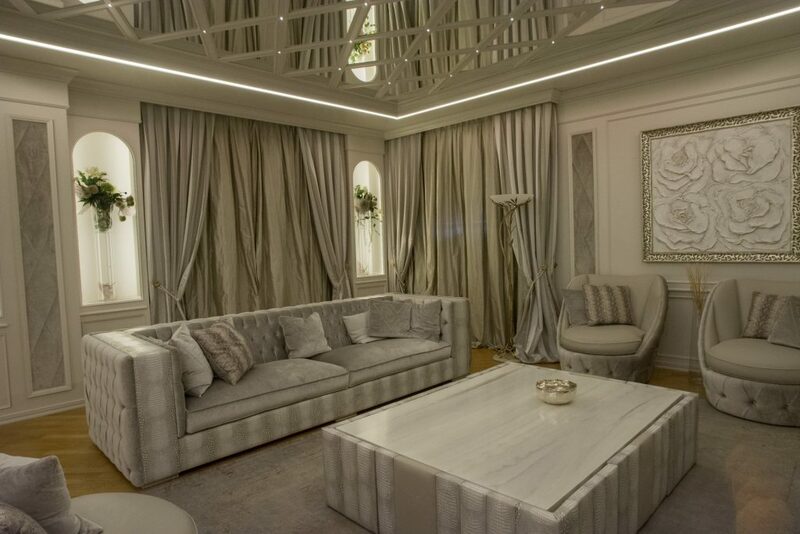 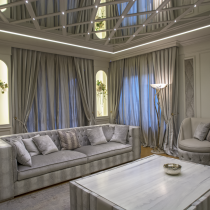 Studied in the minutest detail to satisfy a very demanding clientele, the living room, completely made to measure, is made of boiserie in sabbia matt lacquer. 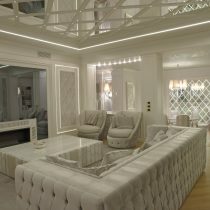 The polarised mirror TV wall conceals a 75″ TV and the soundbar, the bioethanol fireplace heats the room as well as offering quite a romantic sight. 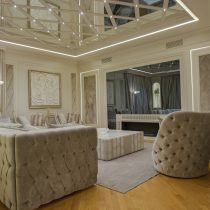 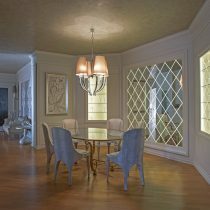 All the furnishing accessories and luminaires are exclusive, designed and created for this room, the materials used were classic leather with a crocodile look, and coordinated velvet, silk and damask.